Klip Gallery: Wistia – How can we help you today? See the daily number of hours your videos were watched over the past 30 days. Log into your Wistia account and find your API Token Password. Select a Wistia Klip from the Gallery. You are now asked for your Wistia API Token Password. To find your API Key, in a new tab, Log into your Wistia account. 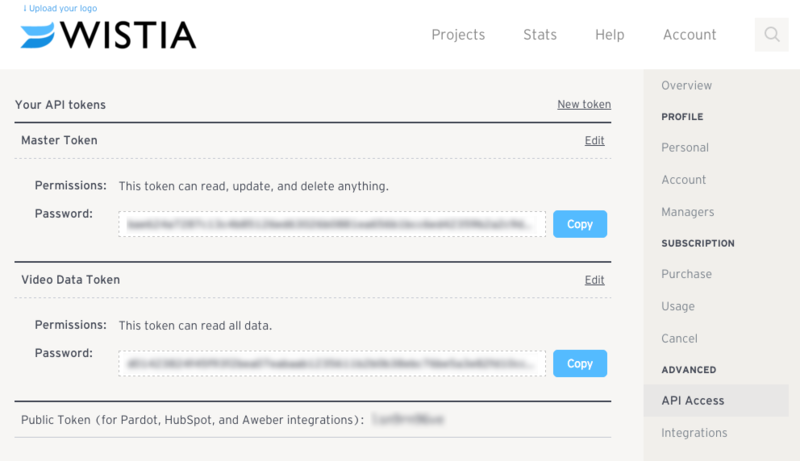 In Wistia, copy an API Token Password and paste it into Klipfolio. Click Add Klip, or, if you are adding the Video Stats Klip, click Next Step. Or, if you are adding the Video Stats Klip, click Next Step. Select a recent video from the drop-down menu.